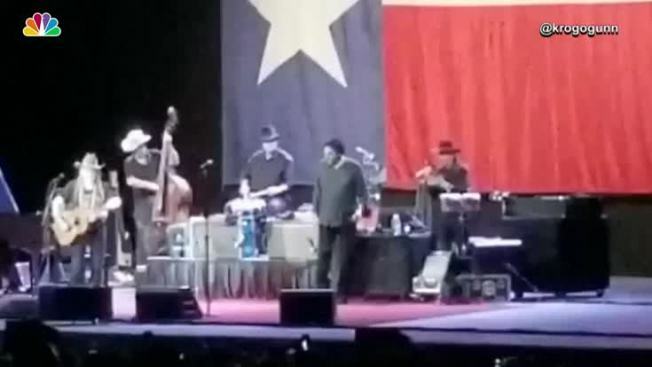 Country legend singer Willie Nelson was performing in Salt Lake City and ended his show abruptly. The 84-year-old singer had a health scare due to the high altitude of the city. Concert goers say Nelson appeared to be struggling through the first half hour at the Utah venue. Nelson tweeted an apology to his fans. Willie Nelson is blaming Utah's high altitude for forcing him to cut a performance near Salt Lake City short. Nelson ended his show early at the USANA Amphitheatre in suburban West Valley City on Sunday night. He later apologized in a statement posted to his Twitter and Facebook accounts. The 84-year-old country music legend explained: "The altitude got to me. I am feeling better now and headed for lower ground." Nelson's publicist didn't immediately respond to a request for further comment Monday. Nelson was forced to cancel several concerts earlier this year because of what his publicist said was a bad cold.